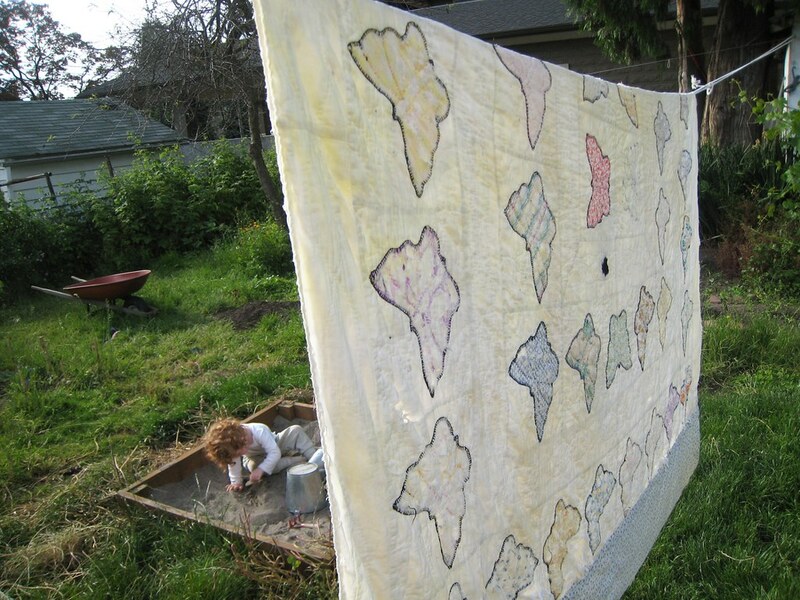 i had this quilt on our spring nature table. i think it was made by my grandmother (paternal), and it's quite delicate. i hate to keep it shut up though! i find it so lovely. 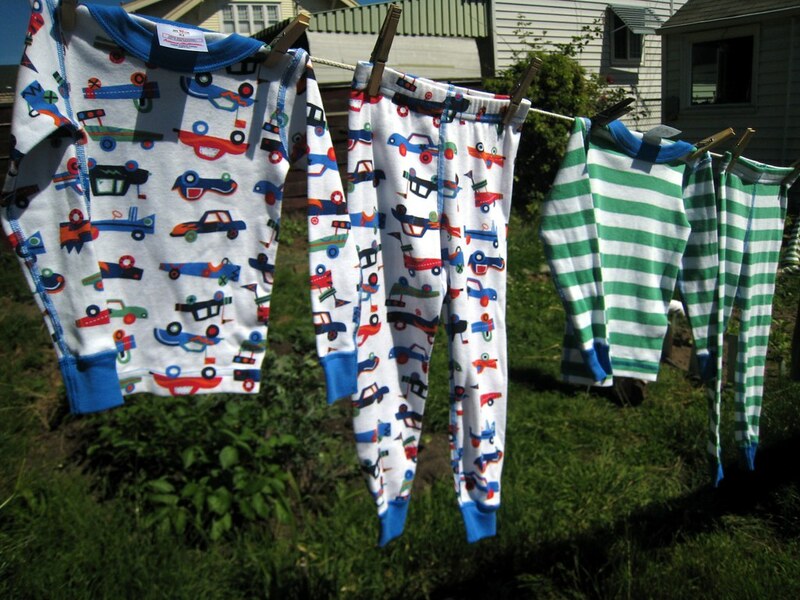 we got some new pajamas for colden. he has been letting us know he needs cozier pants with soft cuffs like these. they were on sale at hanna andersson (he loves them - so comfy)! 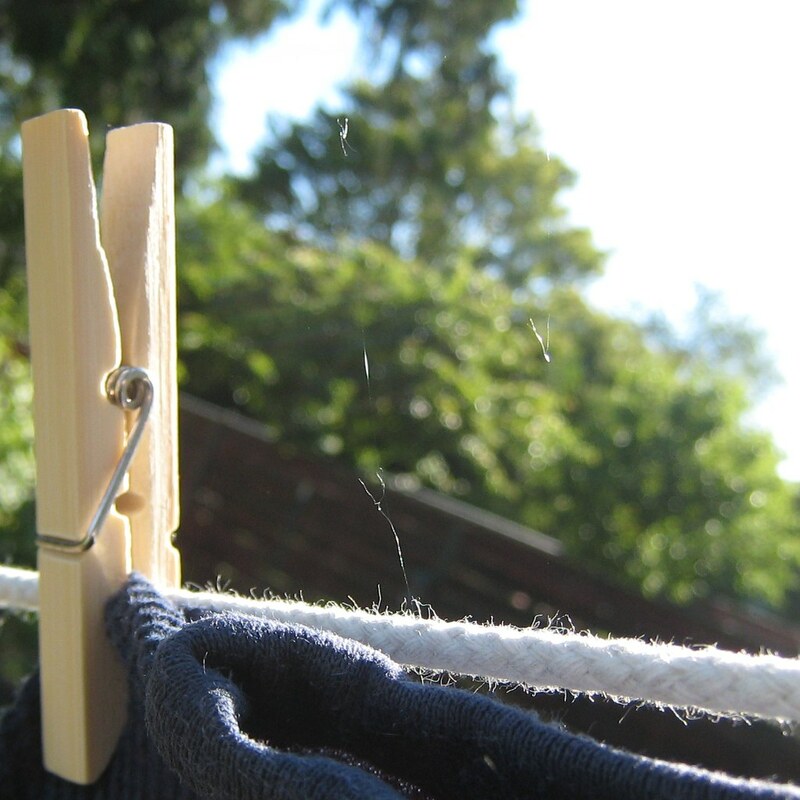 a spider wove a tiny cobweb between the two lines when i left the clothes out overnight. 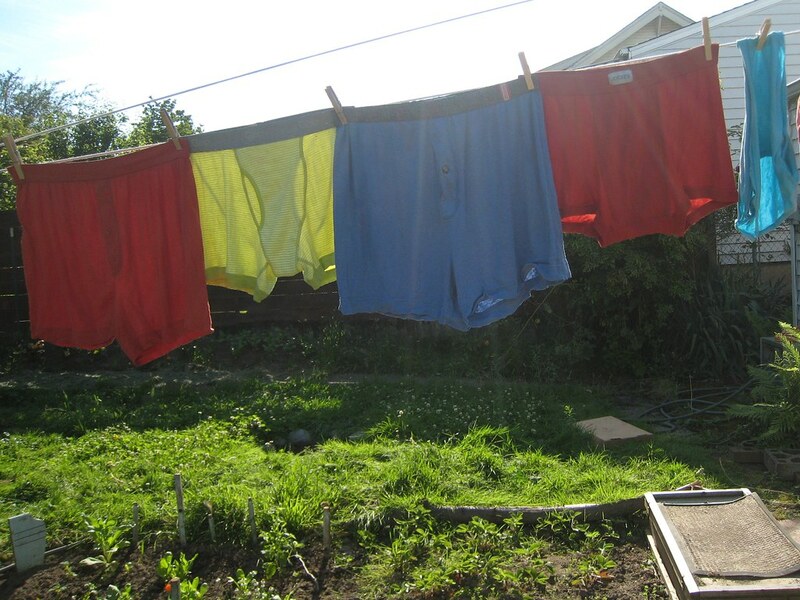 i have been feeling shy about underwear on the clothesline, but marc said he didn't care. and i also remembered my tomboy grandma (maternal) who hung upside down on the monkey bars in her dresses and said, 'well at least my underwear doesn't have any holes in it!' (or something along those lines). 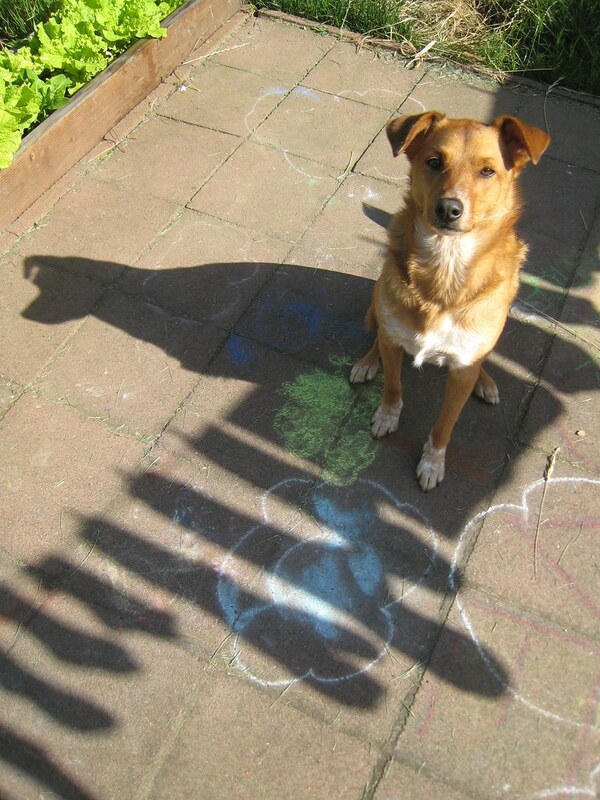 lola and her shadow sitting on the shadow clothesline. 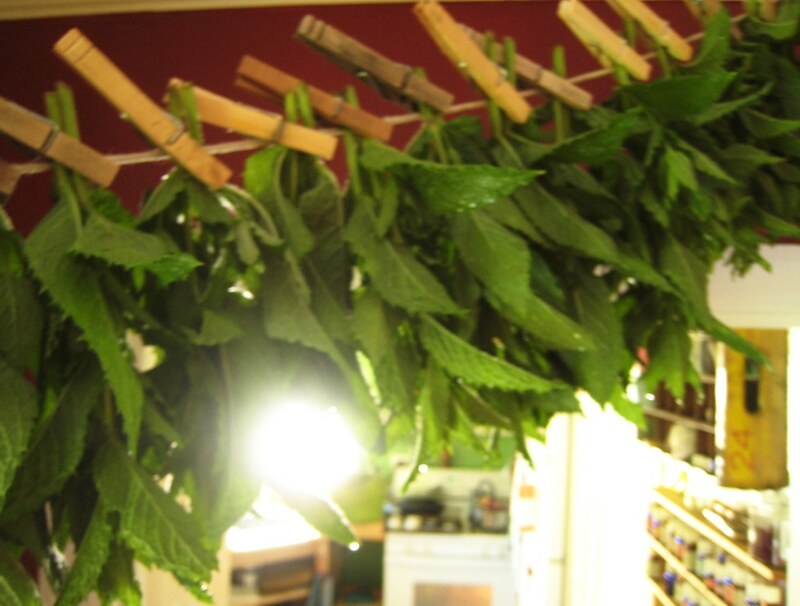 and even a little indoor clothesline of drying peppermint and spearmint. happy washing!